As long as the Scratch n Snooze (3-in-1) lives up to its name, you'll be glad to have it as part of any feline-friendly home. As long as the Scratch n Snooze (3-in-1) lives up to its name, you'll be glad to have it as part of any feline-friendly home. 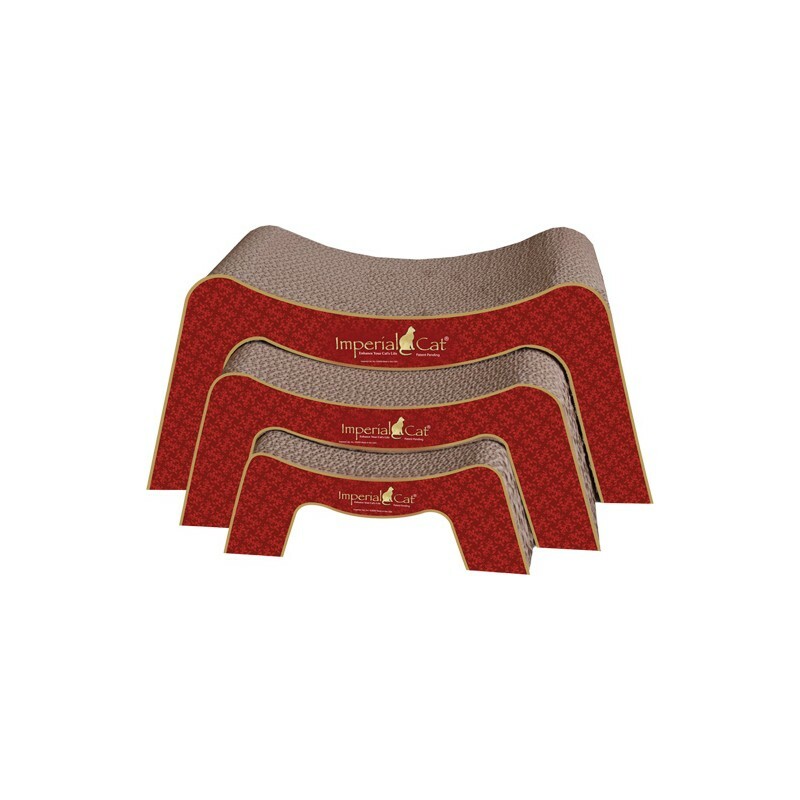 Giving your furry roommate a place to lounge around or sharpen their claws, this durable scratcher features three nesting sections that are each crafted from rugged, corrugated cardboard. A nine-ounce portion of organic catnip is included, and all the materials used to produce this handy scratching post are made from 100% recycled materials. Made of 100% recycled paper. Set of 3 scratch board nests together for easy storage. Includes a 9-gram bag of certified organic catnip. Made in the USA.